Theodore John Conway was born on 24 July 1909 in Vallejo, CA, the son of Theodore Allen Barnewitz and Ruth Irene Quinn. When Ted was 5, his father died and his mother married William L. Conway, Captain, U.S. Army. Ted graduated from Galileo High School (San Francisco) in 1927. He enlisted in the Army as a Private at the Presidio of San Francisco and in 1929 received an appointment to the U.S. Military Academy from the Honorable Richard T. Welch, 5th Congressional District, CA. At West Point, Conway displayed the qualities that would become his hallmark in later years: well-rounded, industrious, good-natured, and understanding. Following graduation in 1933, Conway reported to Fort Benning, GA. In 1937-38 Ted was detailed to Paris as a language student. Upon his return, he served as a French Instructor at West Point for three years. During World War II, Conway held a succession of key assignments, starting in London in 1942, then in North Africa, Sicily, Italy, Southern France, and back to Italy, where he finished the war with the Fifth U.S. Army near Verona in Northern Italy. During that period he served with the 9th Infantry Division, VI Army Corps, and Headquarters, Fifth US Army. His service included battalion and regimental command and duty as Aide-de-Camp to British General Sir Harold Alexander. Conway was also one of the American officers who planned the Commando raid at Dieppe and participated as a shipboard observer on the British destroyer Alderney during that operation. After the war, he was assigned to the Strategic Plans Branch of Operations Division (OPD). In 1948, Conway attended the Armed Forces Staff College and then served as an instructor there, returning to Washington in 1950 to attend the National War College. At age 43, Conway qualified as a parachutist at the Army Airborne School before reporting to Fort Campbell to command the 188th Airborne Infantry Regiment. Later he became Chief of Staff of the 11th Airborne Division. He served next with a NATO command, Allied Land Forces, Central Europe (ALFCE), with headquarters at Fontainebleau, France. 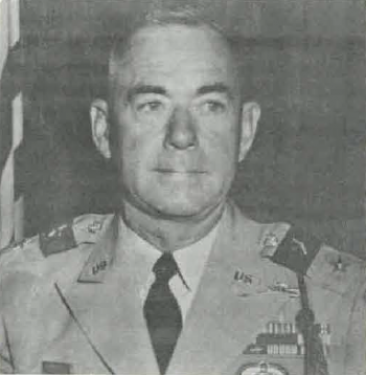 Returning to the Pentagon in 1955, Conway was promoted to Brigadier General and served as Director of Army Research. In 1959-60 he was with Korean Military Advisory Group (KMAG) in Wonju, Korea. In 1961 he was promoted to Major General and assumed command of the 82d Airborne Division. In an article titled 'Armed Forces: This Is the Army' that appeared in the Friday, 13 October 1961 issue of Time Magazine, this was said of Gen. Conway: "After a recent training jump, the 82nd [Airborne Division] marched 85 miles back to Fort Bragg. Major General Theodore J. Conway, Division Commander, jumped with his men and hiked all the way." In 1962 he was posted to Bangkok as Chief, U.S. 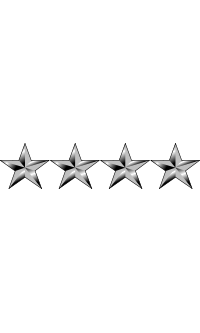 Advisory Group, Thailand, and in 1963 to Seoul, South Korea, where he was promoted to Lieutenant General and became Deputy Commanding General, Eighth U.S. Army. Back to the Pentagon in 1965, Conway became Assistant Chief of Staff for Force Development. Upon leaving this assignment he became Commanding General of the Seventh U.S. Army, Europe, in Germany. His final active-duty assignment followed his promotion to General on 1 November 1966, when he served as Commander-in-Chief of U.S. Strike Command, headquartered at MacDill Air Force Base near Tampa, FL. He was concurrently Commander-in-Chief, Middle East, Southern Asia and Africa South of the Sahara (USCINCSTRIKE/USCINCMEAFSA). During this period he was honored as the Kermit Roosevelt Exchange Lecturer to the United Kingdom for 1969. 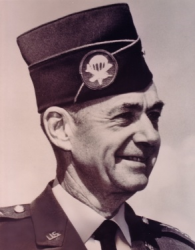 General Conway retired in July 1969, having completed more than 42 years of distinguished service to his country. He then took an M.A. in International Relations at the University of South Florida in 1975 followed by a Ph.D. in Military History from Duke University in 1985, at the age of 75. Ted married Eleanor Mitchell Wright in 1935. Ted and Eleanor had three children, Laura Mitchell Conway, Ruth Quinn Conway and John Wright Conway. John, a veteran of Vietnam (3d Brigade, 82d Airborne Division), was killed in a parachute accident in 1977. Beyond his many military and academic honors, Conway was especially proud of being one of the few members in the history of America's Armed Forces to have held both the lowest (Private) and highest (General) regular ranks in the Army. He was also the oldest person to ever earn a doctorate at Duke University, one of the nation's finest educational institutions. 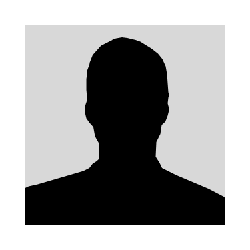 Ted was a licensed amateur radio operator (W4EII), skilled in the use of Morse Code, and a formidable runner, tennis player and skydiver. Ted Conway's Army remembrance recalls "a dedicated professional soldier, a man who truly 'filled the unforgiving minute with sixty seconds' worth of distance run.' Yet no less significant were the human and humane qualities of this warm and generous man - his enthusiasm, his keen sense of unfailingly good humor, even in the face of adversity, his attributes as a cherished son, husband, father, comrade and friend. In these respects, no less than for his brilliant career, he is a shining light in the memories of those who knew him." General Theodore John Conway died on 11 September 1990. He is buried at San Francisco National Cemetery in San Francisco, CA. His wife, Eleanor, died in 2010 and is buried with her husband.